Have a citation to an article? Looking for a particular journal, magazine, or newspaper by title? Then use the search box below. 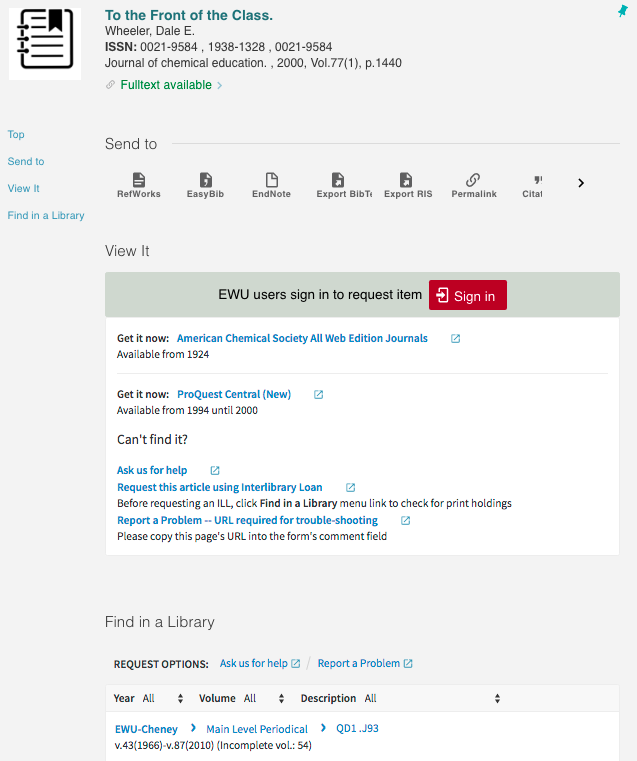 When you are searching in one of the library databases and the article in question isn't available full text right there, look for this icon or a hyperlink that says EWU - Check for Full Text. Step 1: If the article is available online, it will say Fulltext available at the top. (It looks like a hyperlink, but it is a link to take you to the page you're already on.) Under View It, you will see links to the databases that have the article. In the example above the article is available in American Chemical Society and ProQuest.